Please note the Friday afternoon class is not being held anymore at this time. I’ll let you know if a new class is added. See the current schedule to the right of this page for ongoing class times. Please contact me by email or phone if you are interested in attending classes. This entry was posted in Uncategorized on March 19, 2019 by Melissa. This entry was posted in Uncategorized on August 7, 2018 by Melissa. *Prerequisite (except for Wednesday beginner class): Minimum of 6 months of Iyengar classes, and be able to set up and get into salamba sarvangasana (shoulder stand), and familiar with or willing to attempt sirsasana (head stand) preparation. All prices include tax. Cancellations are subject to $50.00 non-refundable deposit. After April 1 the workshop fee will be $250. Register with Petra Rykers at: petra.rykers@dal.ca (Indicate the sessions for which you would like to register). Payment: By email or cheque to Petra Rykers re: Gulnaaz 2018. Cheques may be left at IYH. This entry was posted in Uncategorized on November 21, 2017 by Melissa. New Students: Please email Melissa before attending a class. No drop-ins please. This entry was posted in Uncategorized on September 9, 2017 by Melissa. Class Information: Which class is best for you? 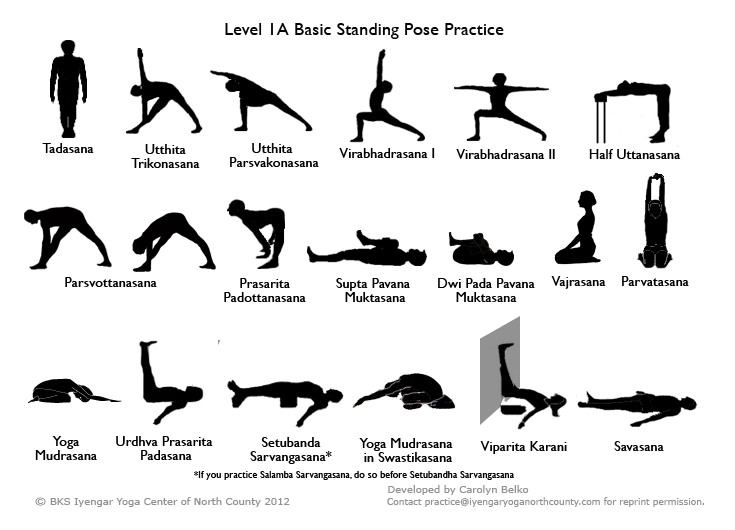 Monday and Saturday: Level I/II (mixed) Prerequisites: Must be able to set up and get to shoulderstand on one’s own. Willing to work on headstand and/or preparations for. Tues. and Thurs. Level II (advanced): Prerequisites: Familiar with basic actions in all standing poses and a regular practice of headstand and shoulderstand (some accommodation made for headstand variations). Weds: Beginner (ongoing) No Prerequisites. Friday 3:30-5, Mixed level class: Best if you have some experience with Iyengar Yoga but we cover many basics in this class as well. Please email Melissa for more information on all classes. Thanks. This entry was posted in Uncategorized on January 2, 2017 by Melissa. What are the benefits of Iyengar Yoga? With so many different styles of yoga to choose from, it can be difficult to decide which one is best for you. 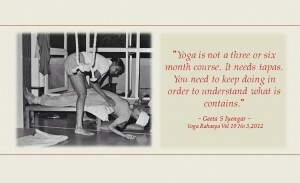 Iyengar Yoga boasts a deeply rooted history, unique features, health benefits, and more — making it one of the most accessible and favorable styles of yoga. 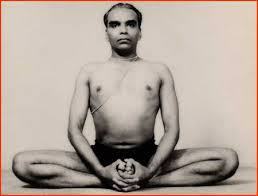 BKS Iyengar began studying yoga at the young age of 16. By 18, he traveled to Pune, India to teach others what he had learned through his studies. Focused on precision, depth and restorative powers found yoga, he sought–and found– perfection within yoga asanas (poses) and pranayama (breathing practice), bringing the body, mind and spirit together. Focus on correct anatomical alignment: Emphasis on precise anatomical alignment in all poses makes each pose healthy for joints, ligaments and muscles, allowing the body to develop harmoniously. Accessibility through the use of props: Iyengar yoga uses props to help the student, independent of their capabilities or limitations, reach the desired pose (asana). Blankets, belts, chairs, ropes, wooden blocks, and more are used in Iyengar yoga to reach a deeper penetration into the postures. Instructors complete comprehensive and rigorous certification: As a result of years of study, instructors can quickly recognize the individual needs of students and identify which props to use and how. Everyone is an individual in life and in yoga–instructors understand this and guide students to reach rewarding, profound poses. Longer holds of poses: Higher levels of strength, flexibility, healing and awareness can be reached when more time is spent in each asana (pose). During this time, students reach new levels of consciousness while practicing yoga. 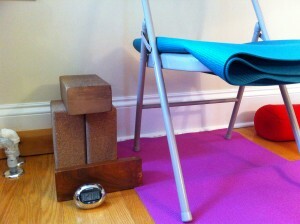 Home practice: Just like any discipline, Iyengar yoga must be practiced. 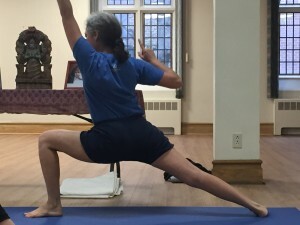 Practice at home is encouraged and essential to growth once fundamental poses are mastered. 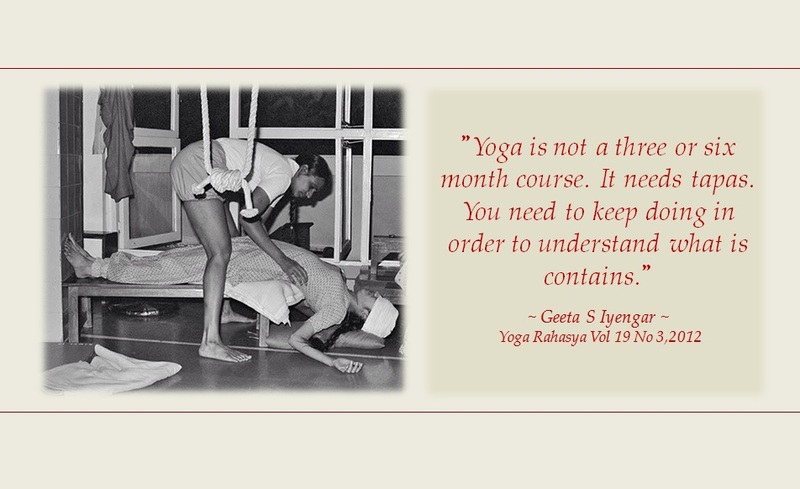 With his practice, Iyengar targeted multiple ailments and disorders. High blood pressure, depression, chronic neck and back pain, and immunodeficiency are just some conditions that he aimed to heal with his practice. 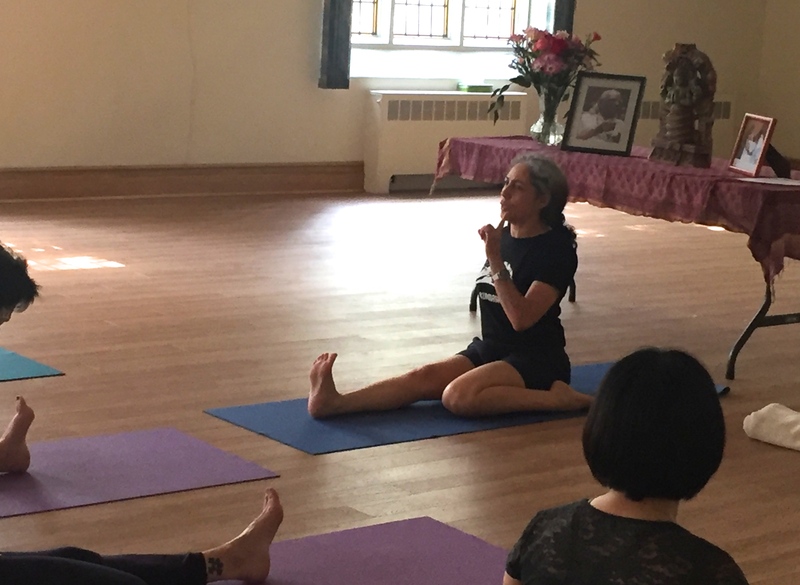 Thanks to greater time spent in each asana (pose) and the instructors’ ability to tailor poses to individual’s needs, Iyengar yoga can provide therapeutic benefits to tight, unstable or injured areas. This entry was posted in Uncategorized on August 29, 2016 by Melissa. This entry was posted in Uncategorized on July 31, 2016 by Melissa. This entry was posted in Uncategorized on July 23, 2016 by Melissa. Sunlight in the yoga studio at First Baptist Church Halifax, 1300 Oxford St. This entry was posted in Uncategorized on March 23, 2016 by Melissa. This entry was posted in Uncategorized on May 7, 2015 by Melissa. Enter the church at the door on the left (South) side of the building at the base of the parking lot. Please ring the buzzer. You may park in the church lot if it is not full, or on the streets nearby. 4 Classes: 56.00 Valid for 5 weeks. 6 Classes: 84.00 valid for 7 weeks. 8 Classes: 112.00 valid for 10 weeks. 10 Classes: 130.00 valid for 12 weeks. 12 Classes: 156.00 valid for 14 weeks. 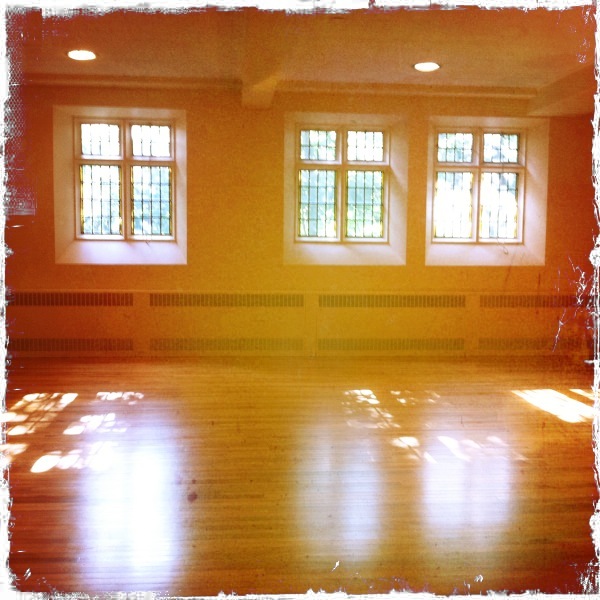 Drop-in (one class) $20.00--only permitted for those that have a foundation in Iyengar yoga--and may be visiting Halifax. please call or email before attending a class.